What differentiates the ‘big four’ CRM providers? Explore the advantages and disadvantages of Salesforce, Oracle, Microsoft and SAP with this CRM comparison. The “big four” CRM providers grew up in very different places: pure cloud CRM, office back-end software, powerful database systems and ERP. Each has its own strengths — and each has its own implementation complications. As you might guess, sales, finance and IT may advocate for different systems since their priorities vary — from usability and familiarity to reporting to ease of implementation. Each factor can be different for each popular system, and every one of the leading CRM providers — Salesforce, Oracle, Microsoft and SAP — has its advantages and disadvantages. It is important to conduct a CRM system comparison before making a choice. Salesforce’s history is not unfamiliar to the startup world. What Marc Benioff began in an apartment after he left Oracle in 1999 has become a $60 billion company providing CRM to a majority of the Fortune 100 companies and many others, earning 22% market share among CRM providers. Benioff and his early team can be credited with creating the SaaS model that many CRM systems have adopted, ensuring that companies can purchase and utilize a CRM system without a high upfront cost to deploy and gain value within the business. Since 1999, Salesforce has proved to be a leader in the space that exceeds market share and has been a marker point that other CRM providers strive to meet. It can be used without development depending on the circumstances, but it’s also flexible enough to build very complex processes on the Salesforce platform. Salesforce doesn’t neglect its system, which is an advantage to customers because the company is dedicated to continuous improvement of its flagship product. Users can expect improved functionality three times a year. The vendor also provides a forum where you can vote with the rest of the Salesforce community on roadmap items to consider for development. There’s not as much ownership by a company’s internal IT team. That means if there is an out-of-the-box feature not to the customer’s liking, it may be more difficult to change. Additionally, when Salesforce provides releases three times a year, IT teams must comply and can’t delay a release launch should there be any problems that arise. Oracle is essentially a household name in the technology sphere for its databases, cloud systems and enterprise software. Around the same time as Salesforce was created, Oracle created a CRM division that led to the Oracle Sales Cloud. In 2006, Oracle acquired Siebel Systems and then UpShot CRM, which put the company on the map as a CRM provider. Oracle is currently losing steam in market share compared with its counterparts — it’s currently at less than 10%. Oracle has stuck to its roots in terms of database and the user interface. 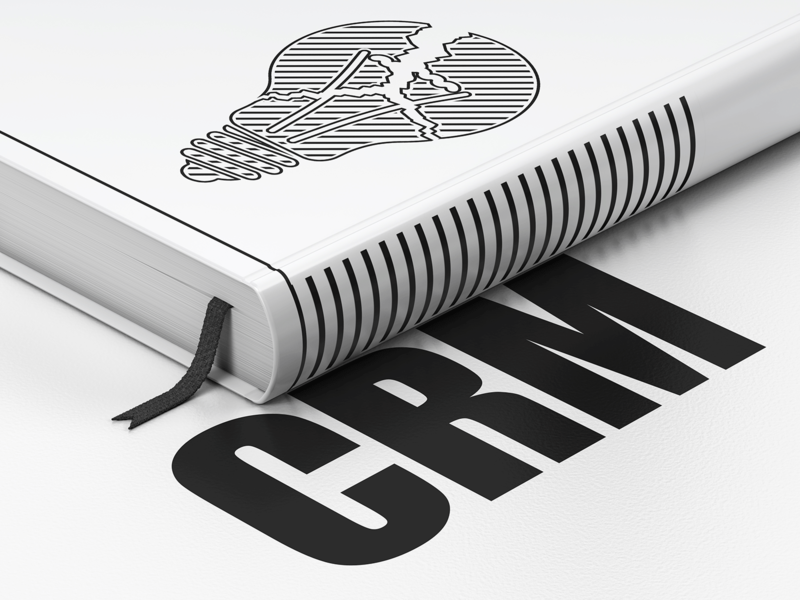 The CRM feels more like a database than a slick app that’s configured for easy adoption and use across devices. It’s not a top priority for Oracle as a whole, which means updates can be slow to improve the system to modern technology needs. Microsoft is no stranger to nearly every realm of the software space and undoubtedly has a hold in almost every company in the U.S., even if it’s just with its Office Suite and hardware. As such a major player in the IT world, it may come as a surprise that Microsoft didn’t enter the CRM world until 2003, four years after Oracle and Salesforce started making a play for the then-new market. Since then, there have been seven major iterations of the vendor’s CRM application, with the newest significant release, Microsoft Dynamics 2016, rolling out in November 2015. Currently, Microsoft Dynamics CRM commands about 5% of the market share compared with other CRM providers, making it the least utilized system on this list. Microsoft’s main focus in the Dynamics suite is its ERP product, which means CRM updates can sometimes seem slow in comparison to Salesforce. A customer’s IT team will need to be staffed to handle the complexities of the system, especially for the on-premises version of Microsoft Dynamics. That enables flexibility but may drain resources. SAP provides a robust BI and analytics tool natively within its CRM — without the need for an additional plug-in or additional licensing. An on-premises option is available for those who don’t want to be beholden to a large ongoing monthly cost. The user interface is lacking for the SAP CRM and isn’t as intuitive as it is in Microsoft Dynamics and Salesforce. The system isn’t optimized for mobile usage.